Admitted mastermind of the college admissions scandal William Singer. 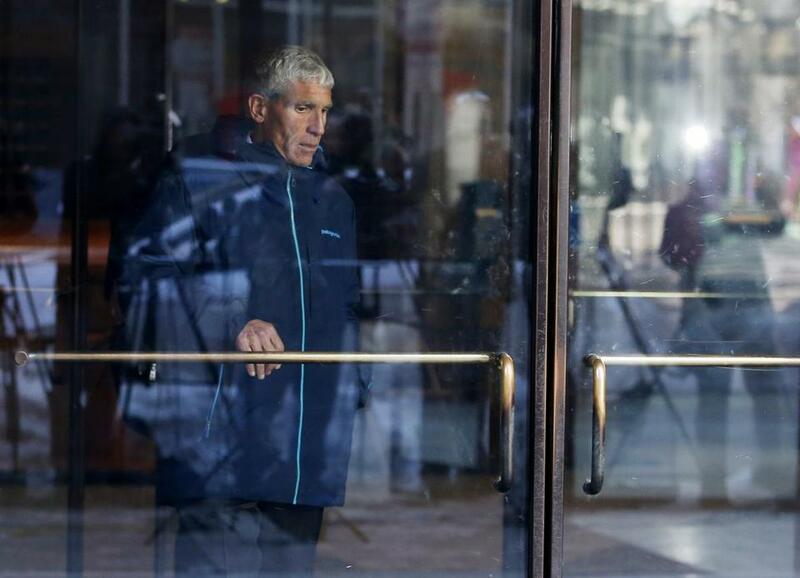 As federal investigators look for other culprits in the college admissions scandal, one potential target practically leaps off the pages of the court documents: the psychologists who were apparently rubber-stamping false diagnoses of learning disabilities for the children of wealthy parents. The diagnoses were essential for the scheme, prosecutors say, because they allowed the students to take the ACT or SAT tests over two days instead of one. That special accommodation allowed the parents to have the locations of their children’s tests moved from their local school to a school in Houston or West Hollywood, Calif., where William Singer, the admitted mastermind, had bribed the site administrator and test proctor. There, the proctor would help the children answer questions during the exam or correct their answers after. The psychologists — it is not clear how many were involved — are depicted in the court papers as willing participants in the scheme, ready to grant any diagnosis Singer requested. In the case of Gordon Caplan, cochairman of a New York City law firm, Singer said that all Caplan’s daughter had to do to qualify for extra time on the ACT was to “be stupid” and “be slow” when a psychologist Singer knew tested her, according to a transcript of their call, recorded on a federal wiretap in June 2018. Federal prosecutors have not charged or named any of the psychologists involved, but the notion that some may have fraudulently diagnosed children horrifies their colleagues. “The folks who agreed to do this don’t represent the profession and really were engaging in unethical conduct that was apparently so egregious it could, in fact, be criminally charged,” said Dr. Lori Azzara, a past president of the Massachusetts Neuropsychological Society, which represents psychologists who test children for learning disabilities. Singer, a California college admissions consultant, has been accused of helping 33 parents, including investors, real estate developers, and Hollywood celebrities, sneak their children into Yale, Stanford, and other colleges with bribes, fake test scores, and doctored athletic profiles. While the scandal has focused attention on the influence of expensive private college coaches and consultants, the role of psychologists has drawn less scrutiny. But without their blessing, Singer’s scheme would not have worked. To help Agustin Huneeus Jr., a Napa Valley winery owner charged in the scheme, Singer selected the psychologist who performed the testing for his daughter. In a May 2017 e-mail to the psychologist and Huneeus, Singer wrote that the teen “needs testing for 100 percent time” — two days to take the test, instead of one — and directed Huneeus and the psychologist to “[p]lease connect,” according to an FBI affidavit. Three months later, the psychologist provided documentation recommending that the teen receive extended time on the SAT, a request that was granted by the College Board in October 2017. Five months later, Huneeus’s daughter took the SAT at the West Hollywood school, where the proctor Singer had bribed, usually with about $10,000, helped her answer questions during the exam and corrected her answers afterward, prosecutors say. Huneeus said Singer $50,000, and his daughter received 1,380 out of a possible 1,600 on the SAT, placing her in the 96th percentile nationally, according to the FBI. The deceptions are intensifying longstanding concerns that wealthy families are shopping for psychologists willing to help their children qualify for extra time on the SAT or ACT, even if they don’t need it. From 2013 to 2017, approximately 5 percent of high school seniors who took the ACT received extra time, according to ACT officials. The College Board, which runs the SAT, did not disclose how many students receive extra time but said 4 percent generally receive accommodations, which can include extra time, breaks, or large-print exams. The percentage of those receiving such accommodations has increased in recent years, but 4 percent is “pretty low,” compared to the roughly 15 percent of students in most states who have special education plans, said Marci Miller, a special education lawyer in California. “I would hope that the number of disabled students obtaining appropriate accommodations would not go down due to a few bad actors in these egregious cases that clearly do not represent what goes on in typical communities,” Miller said in an e-mail. In most cases of students who qualify for extra time, the ACT and SAT generally rely not only on a diagnosis of a learning disability, but also on documentation from the school showing the student had a history of similar accommodations. Special-education attorneys and professionals said it was striking in this case that the testing companies granted 100 percent extra time for students who were suddenly diagnosed with a serious learning disability during SAT season. Parents whose children have legitimate learning disabilities worry that the abuse of the system described in the scandal will make it harder for children like theirs to get the accommodations they need. “That is my biggest fear: What will something like this do, how much harder it will make it for those who legitimately need it to substantiate that need and gain access to it,” said Emily Jann, a mother in suburban Chicago whose two high-school age daughters receive extended time on standardized tests. can be reached at mlevenson@globe.com. Follow him on Twitter @mlevenson.